If you just can’t get enough of Canadian Prime Minister Justin Trudeau in your life, why not stare at him for 12 straight months next year? Thanks to the good folks at Universe Publishing, you now have that opportunity with a new 2018 calendar. 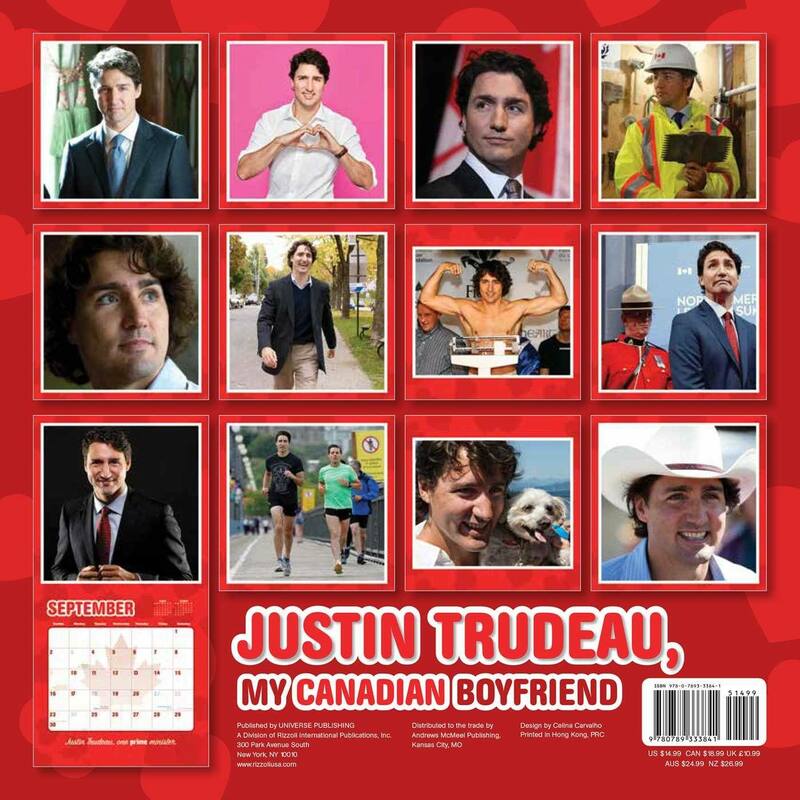 The calendar, simply entitled, “Justin Trudeau My Canadian Boyfriend,” retails for $12.98 on Amazon and is available in select stores as well. “I have a new boyfriend. No, you’ve never met him. He lives in Canada,” reads the product description. Yes, for 365 consecutive days, those who purchase this particular date keeper can enjoy the “model-like role-model” that is Trudeau. The calendar also features “sweetly off-kilter but well-meaning commentary about his views,” direct from JT’s “sparkling blue eyes” on a wide range of subject’s including love, family, oh and of course other day-to-day topics such as global affairs and economic growth. And while the review has a 5-star rating from a total of three product reviewers at the time of this writing, the calendar has already received a range of reactions on social media.